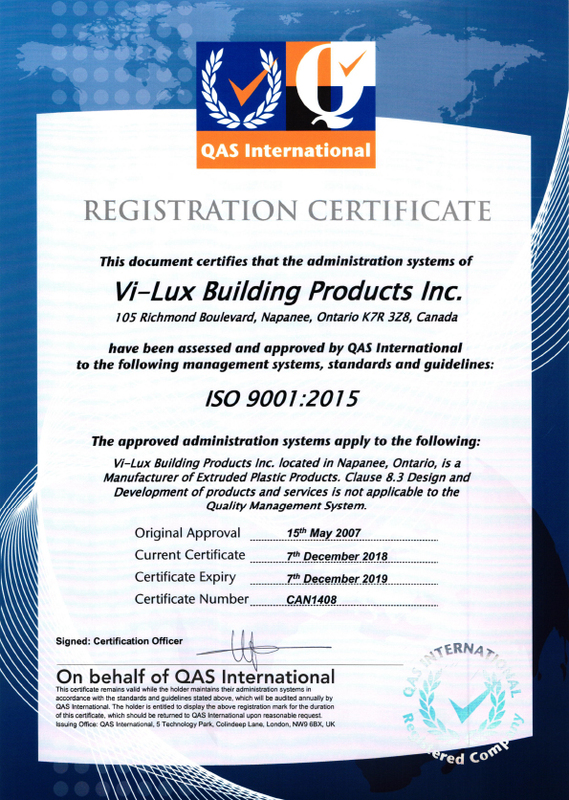 Vi-Lux Building Products Inc. has established itself as a leading manufacturer of cellular PVC mouldings for both interior & exterior applications by becoming a supplier of reliable high quality products and services, and as a company with an environmental consciousness. 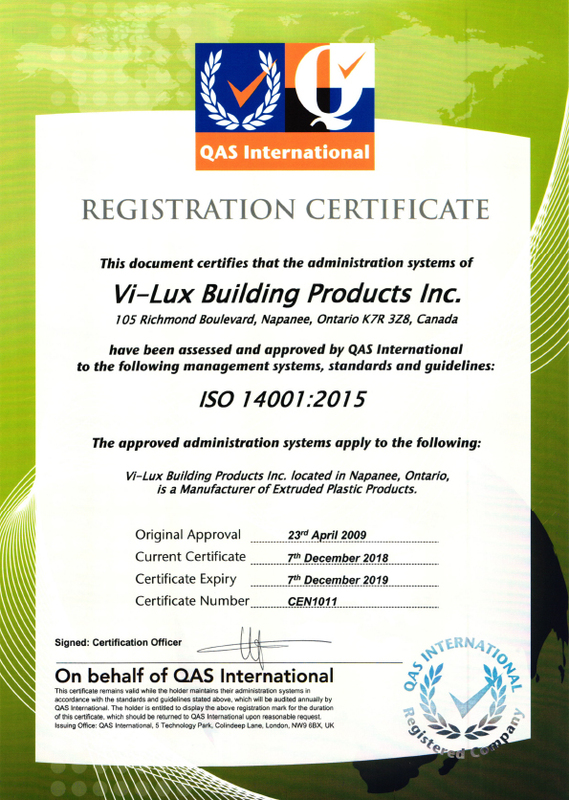 Vi-Lux Building Products Inc. is certified to the international standards of ISO 9001:2015 and ISO 14001:2015. 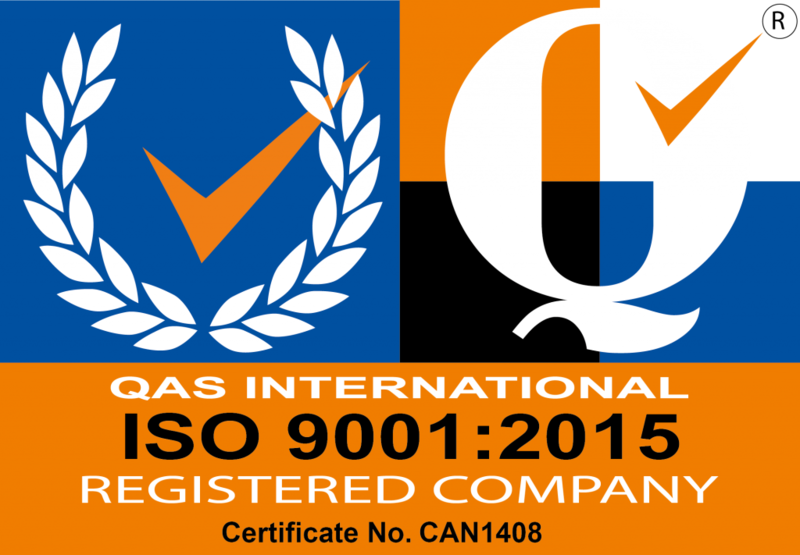 ISO 9001 is an internationally recognized program promoting continuous improvement in product reliability and manufacturing performance in all areas of the business. This certification promotes the development of world class manufacturing systems and processes for the benefit of the company and its customers. ISO 14001 is an internationally recognized program which promotes continuous improvement and awareness of environmental issues throughout an organization and its business relationships with both suppliers and customers. This certification promotes environmental sustainability by involving all aspects of the operation and its personnel in reducing the environmental footprint of the organization.